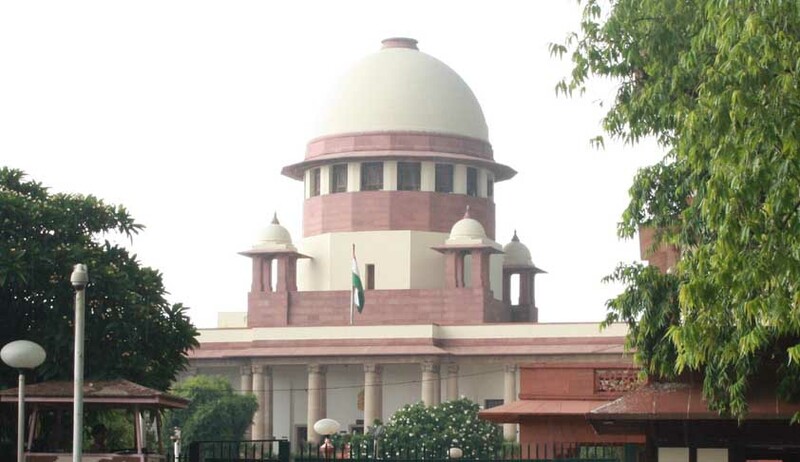 The Supreme Court has rejected Centre’s review petition seeking the review of its judgement, known as ‘Lily Thomas Case’, debarring convicted MPs and MLAs, who have been awarded two years or more jail term, from contesting elections. Though large sections of the society had welcomed the judgement, parties across the political spectrum were unwilling to accept it. In the judgment delivered on 10th July, 2013, the Supreme Court had declared Section 8(4) of the Representation of the People Act unconstitutional, which allowed a Member of Parliament and State Legislative Assemblies to retain their Membership of the House they were elected to, for three months to enable them to file an appeal in the higher court. The said provision allowed the Members convicted of crime by trial court till their conviction is suspended in appeal by the higher courts. But in reality, in view of the long delays in criminal proceeding in India, the cases are mostly decided only after their term in the house, and the convicted members continue to represent their constituencies. It is pointed out by many political pundits that effect of Section 8(4) of the Representation of the People Act was only postponement of disqualification, and the incorporation of Section 8(4) was a practical answer of the Parliament to the constitutional crises which may arise in case of an automatic and overnight disqualification. Since the effect of the judgment was disqualification on the ‘judgment day’ itself, it was pointed out that the fate of the house, which depends on the wafer thin majority of one or two members, would be in balance, may be even necessitating a fresh election. The foremost ground for filing the review petition, as argued by the Centre, was that the Supreme Court judgment on disqualification of MPs based on interpretation of Article 102 (1) (e) was decided by a two- judge bench and was not referred to a larger Constitution Bench. According to the Centre, Article 102 (1) (e) of the Constitution empowers Parliament not only to define the disqualification norms but it also empowers the House to decide how and when this disqualification should take effect. Therefore, any interpretation of the Article 102 (1) (e) that seeks to divest Parliament of its power to provide for additional qualifications for MPs ought to have been referred to a larger constitution bench and not decided by two judge bench. Dismissing the review petition, a bench comprising Justice A K Patnaik and Justice S J Mukhopadhayay said “The government is creating confusion. When we interpret law, the judiciary is accused of exceeding its jurisdiction. Distinction between right to vote and right to contest is not clear.“ Issuing notices to the Election Commission of India, Central Government, Government of Bihar, the court did agree to examine their decision to debar those in jail from contesting elections. Pursuant to an all-party meeting, the Central government has also moved a Bill in Parliament to amend the relevant law to nullify the Supreme Court ruling.